Our History » DST – Entwicklungszentrum für Schiffstechnik und Transportsysteme e.V. The foundation of the DST goes back to the year 1954. 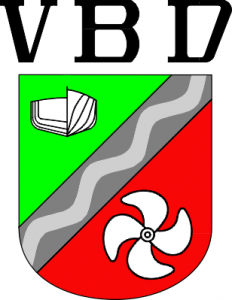 The Duisburg Towing Tank (Versuchsanstalt für Binnenschiffbau, VBD), which was built at the initiative of the regional economy and with the support of the State of NW as well as the city of Duisburg, was set up this year. Background of this initiative was the destruction of large parts of the German inland waterway fleet in conjunction with an increasing demand for bulk shipments in the course of reconstruction. The VBD’s specialized competence in all questions of shallow water hydrodynamics, which is also reflected in the design of the testing facilities, has justified its special status then and now among the world’s towing tanks. To highlight this trademark, the VBD very early updated its name with the adding “Institute for shallow water hydrodynamics”. Since the opening, the test facilities have been continuously extended and improved. In two steps, i.e. in 1957 and in 1967, the extension of the large shallow towing water tank from first 140 m to finally 200 m took place to increase the measuring section. 1978 an additional wave generator was installed; in 1989 an under-floor observation tunnel was built beneath the shallow water tank. The last important extension of the testing facilities dates back to 2002 and refers to the installation of a fast towing device, which permits towing speeds up to 15m/s. In addition to these infrastructure upgrades, important enhancements to the work area were made with which new tasks going beyond the traditional experimentation were opened up. A first extension that is to be mentioned here was due to the ever increasing advance of so called Computational Fluid Dynamics (CFD) in the 1990s. The huge increase in processor capacities in connection with modern computational methods has facilitated the numerical treatment of flow phenomena. In consequence, hydrodynamic research can be carried out nowadays using two methods, namely the traditional EFD and the more recent CFD. Parallel to these methodological developments that follow a general trend in ship hydrodynamics, the VBD was able to set its own priorities by adding the field of transport systems. This extension of the institute’s sphere of activities stands in close relation to structural changes that have occurred in goods traffic since the end of the 1960s. This so-called cargo-structure effect has led to the successive reduction of the share of bulk cargo suitable for inland navigation in favour of commodities or general cargo, which rather tend to be road-borne due to their special requirements. One last important extension of the work area is connected to the acquisition of the ship handling simulator SANDRA, which is set up in the rooms of the Vocational College for Inland Navigators (Schiffer-Berufskolleg RHEIN) since 2008 and has always kept pace with the state of the art in science and technology with own research. In particular, because of the increasing size and speed of the ship units used at largely constant dimensions of the waterways, the controllability of technology by humans becomes more important. With the help of the ship handling simulator, especially the border areas can be systematically explored, to be able to consider already in the planning stage any detail – for example as regards shipbuilding or hydraulic engineering measures. However, the simulator is used not only for research-oriented tasks, but is at the same time part of the education and training of crew members. The changes that the VBD has undergone – which started out as a towing tank and now operate as a broadly based development center – were reason enough to give up the traditional name of “Towing Tank for Inland Shipbuilding” after 50 years and to take on the new name of “Development Centre for Ship Technology and Transport Systems (DST)”.